This pie is full of chocolate, butterscotch, coconut and pecans, all baked together in a graham cracker crust! It’s like the best candy bar served up into a pie! So simple to put together, just add the delicious layers and bake. If you have a sweet tooth like someone I know in my house, then this is the pie for you! 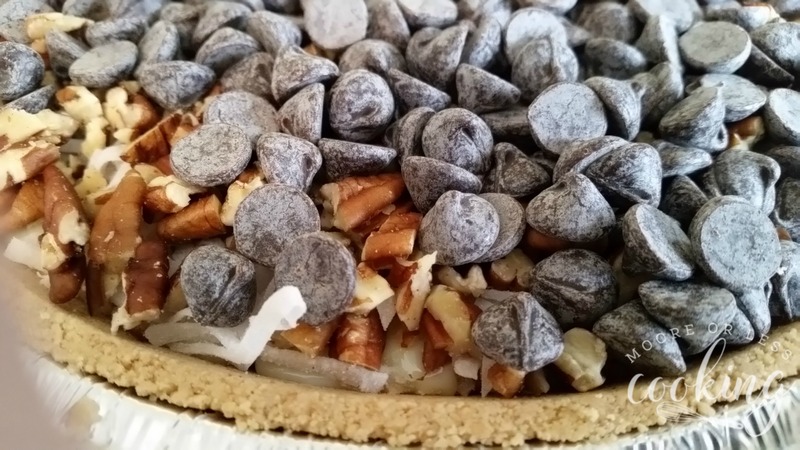 What you will need to make this super yummy pie: graham cracker crust, Sweetened Condensed Milk, butterscotch morsels, coconut, semi-sweet chocolate chips, chopped pecans. All you need is 5 minutes to put together this easy pie! Place all ingredients into Graham Cracker Crust in the order listed above. Layers of Chocolate, coconut, pecans, and butterscotch magic! 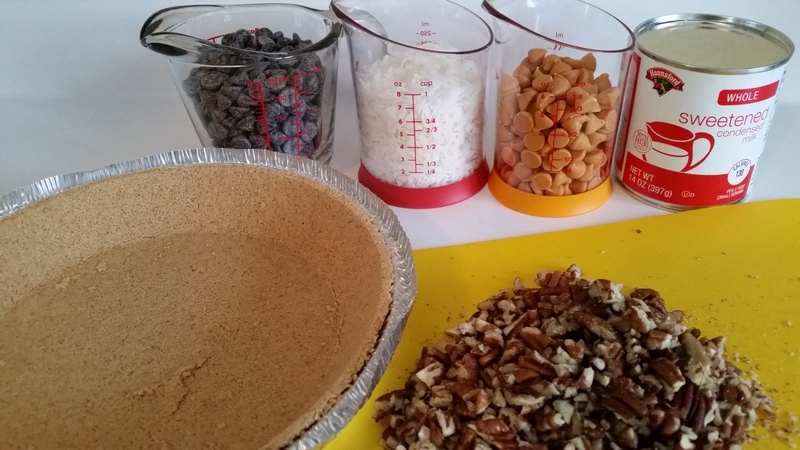 Just like the magic cookie bar, but in pie form! Magical! Pour the entire can of condensed milk evenly into the graham cracker crust. Layer the remaining ingredients, as listed above. Using fingers, make sure each ingredient is leveled out. Place pie pan on a baking sheet (pie will bake more evenly) and bake for 35 minutes (will see the edges becoming bubbly and brown). Cool to room temperature on a wire rack (for 2-3 hours) Enjoy! This week the #SundaySupper Tastemakers are bringing you 50 wonderful sweet and savory Pies! A big thank you to our wonderful hostess, Erica Acevedo of The Crumby Cupcake who made this event happen! I am a huge pie fan and I want to try all of these recipes! I am sure that you will find something that you love, be it sweet or savory or both!! Jamaican “No-Beef” Patties from What Smells So Good? 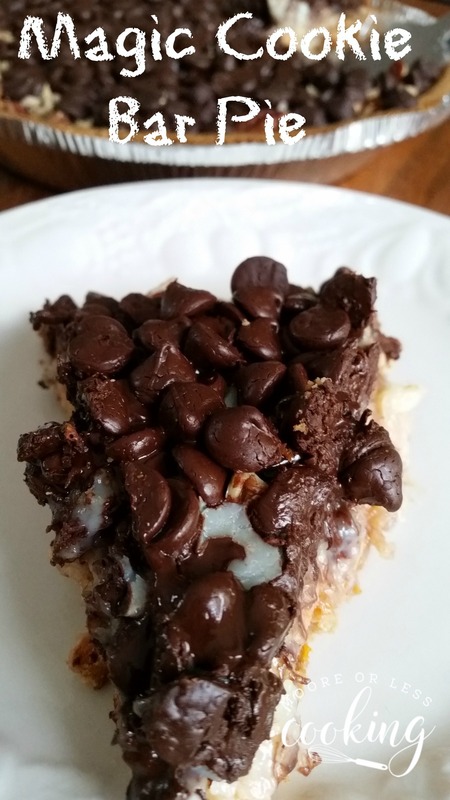 I love, love magic cookie bars! YOur pie is genius!!! 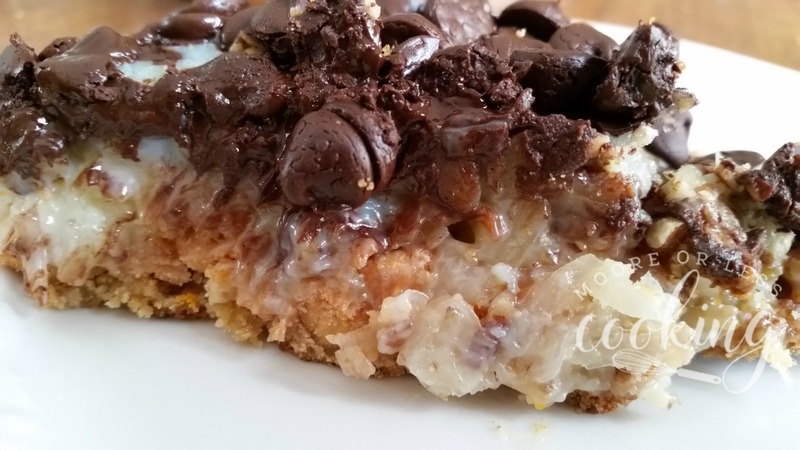 I’ve had cookie bars like this and loved them so sure it’s great as a pie! Thank you, it’s a favorite! What a lovely combination! This looks amazing! I could definitely have a big slab of that right NOW. What a great, easy recipe – perfect to whip together if company’s on their way! Or just because. Mmmm, mmmmm, Nettie-girl. Oh this pie looks divine! This bar has my name written all over it! 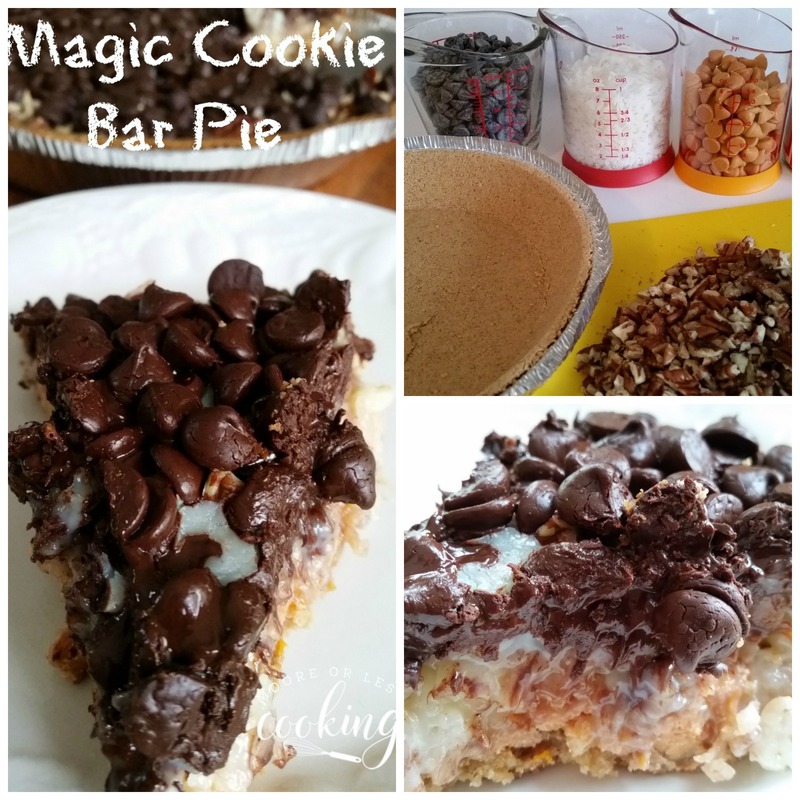 I love Magic cookie Bars, and your twist to make them into a pie is so fun! This would be great to serve at a party! Thanks for the great idea! Adding this to my must-try list as this looks absolutely scrumptious! Love it! Oh my – this looks amazing!!! I have the granddaughters this week and well give this a try. Whoak does this look rich and delicious! Love how easy it is, great for busy holidays. So many delicious layers in this one dessert! Love how youve taken my favorite dessert bar and made it into a pie! I love all the morsels! What a great pie Nettie! Looking forward to seeing you again at Full Plate Thursday tonight!